This Aveda concept sactuary offers reasonably priced spa services like acupressure ($60/hour) and seaweed massage ($90/80 minutes) to complement their electic roster of amenities. 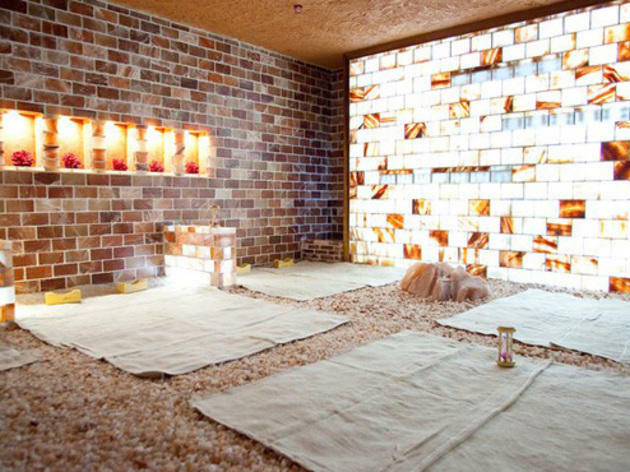 From the salt room to the "yellow sand" mud room, Crystal offers a particularly enticing range of goods compared to other Koreatown spas. Admission for the day is $30 ($15 w/ service), and the generous hours of operation allow you to indulge at any hour of the day. Nolon nailed it! 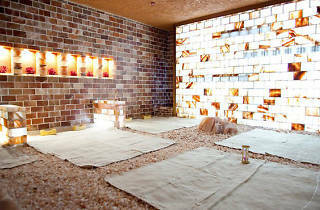 This place is awesome, with swanky Aveda products, relaxing pools and a fun co-ed area if you want to make your spa visit a little more social. It's in a mall with an amazing market one floor below, so you can get some shopping done before or after your max relax.